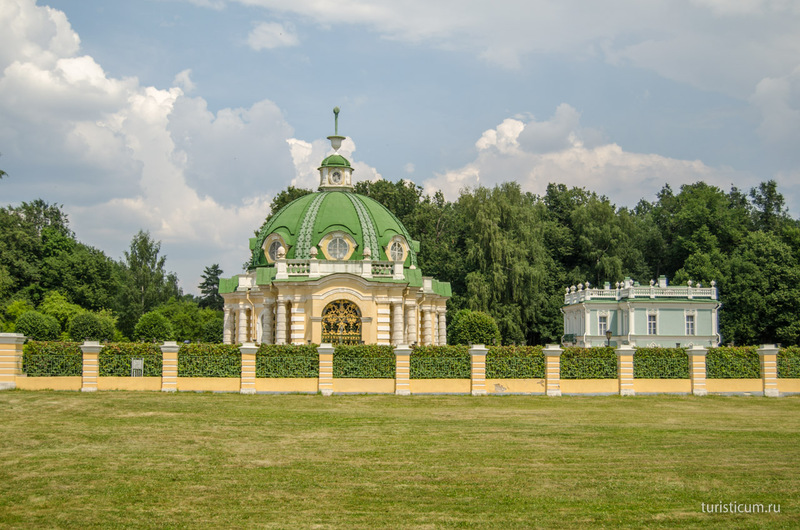 Kuskovo Country Estate is one of the main Moscow attractions. 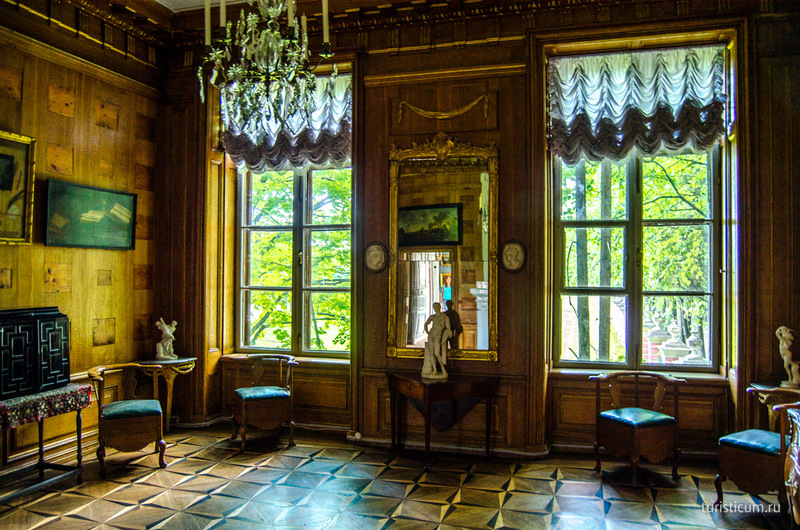 Counts of the Sheremetev family used to own it. 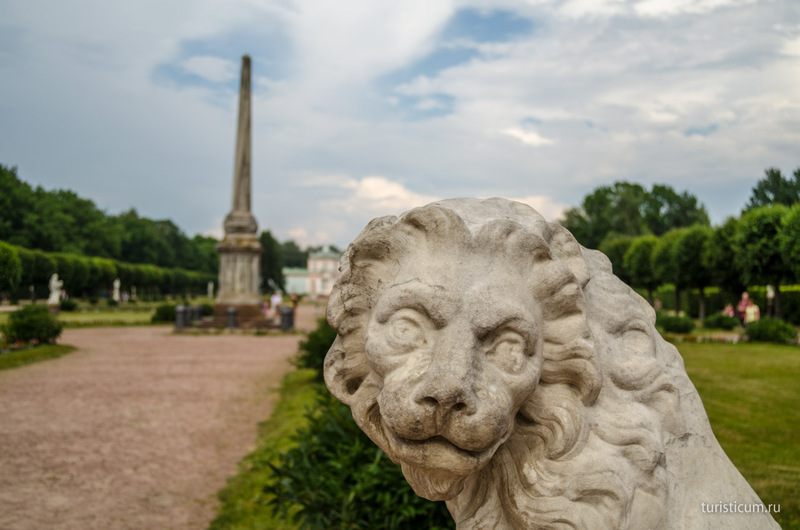 It is on the East of Moscow and consists not only of the main palace and attached buildings, but also of improved and equipped park. We went there for a walk on a fine summer day. 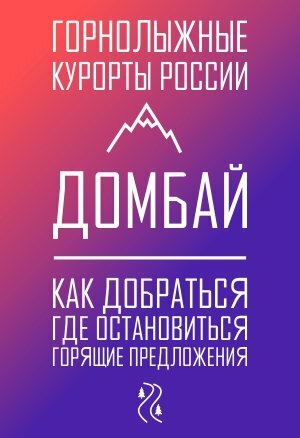 The question “How to spend a day in Moscow?» can easily put at a stand both visitors and locals. The reason is not that there is nothing to see in Moscow. 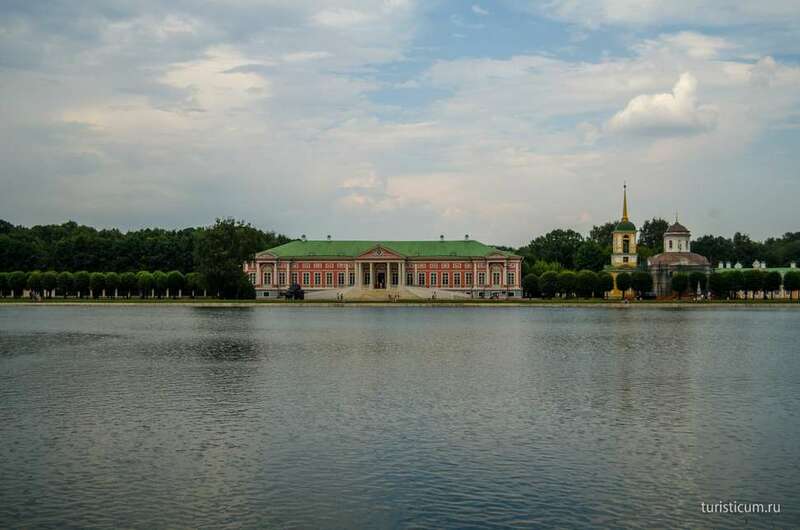 On the contrary, there are so many attractions in Moscow that it is hard to choose the most worthy ones. For example, one can prefer a sail along the Moskva (Moscow) River to meet the city. But to be fair the sail will only take some hours. Kuskovo Country Estate is on the East of Moscow in the Vishnyaki District. The easiest way to get there is by metro. «Ryazansky Prospect» metro station. Bus lines №133 and №208 go right from the metro station to «Kuskovo Museum» bus stop. «Bykhino» metro station. 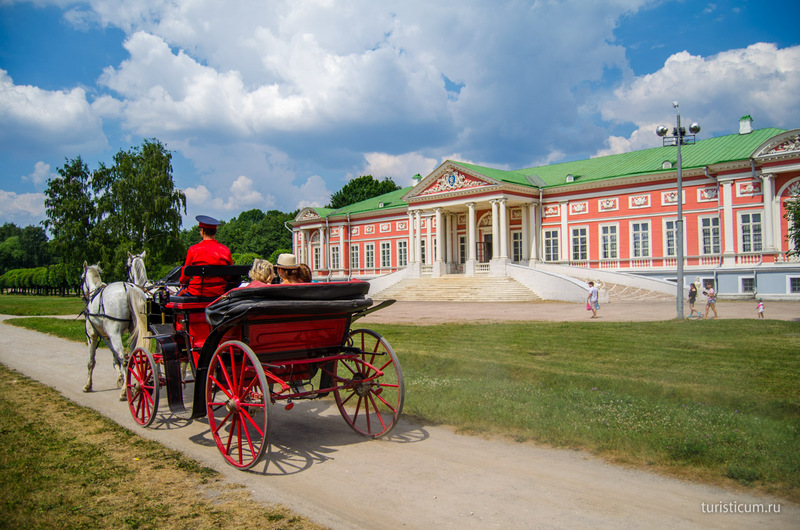 Bus line #620 will take you to «Kuskovo Museum» bus stop. «Novogireevo» metro station. 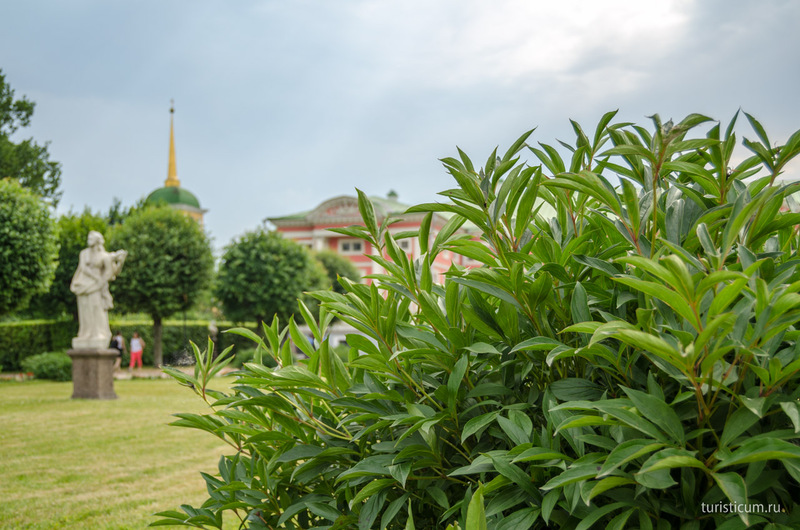 Trolley bus line №77 and bus line №64 as well as many other rout taxies will take you to bus stop «Ulitsa Unosti». 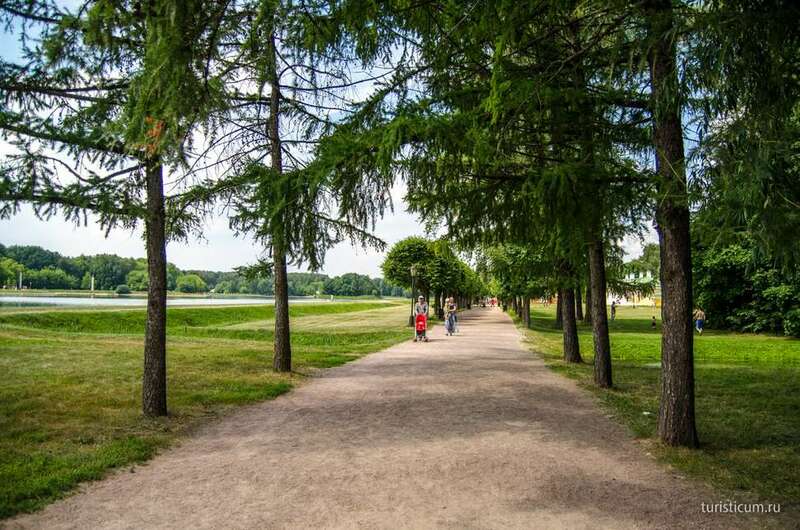 From there you will have to walk about 600 meters (0.4 miles) to the Kuskovo Park entrance. 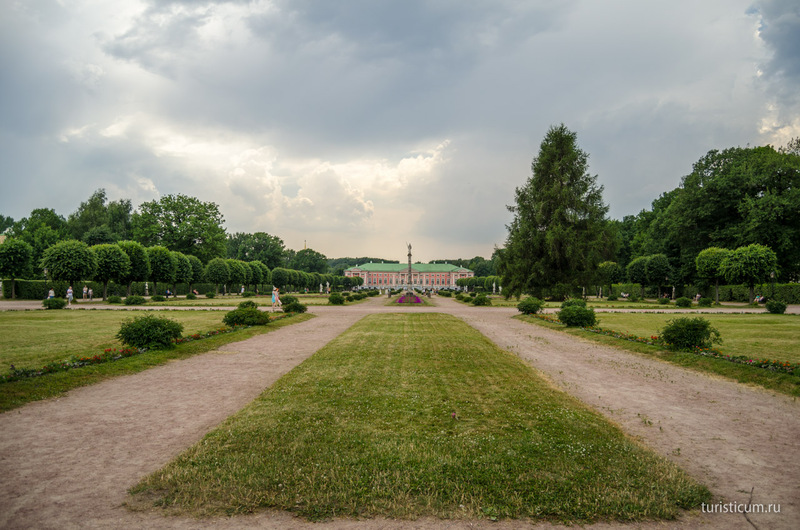 The easiest way to get to Kuskovo Country Estate is from the “Ryazansky Prospect» metro station. There are more buses here and the way will not take too much time. 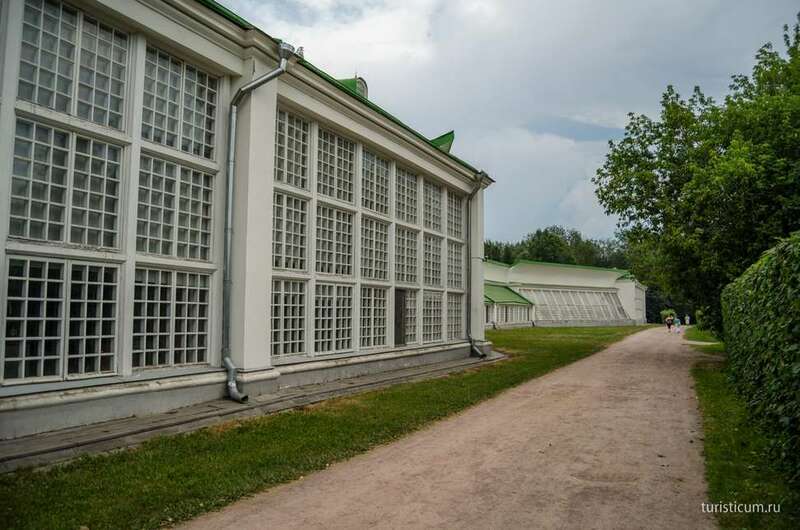 Kuskovo Museum open hours are available at the official web site, but bear in mind that the museum is closed on Mondays and Tuesdays. One feels taken to the past with a time machine on the territory of the park. 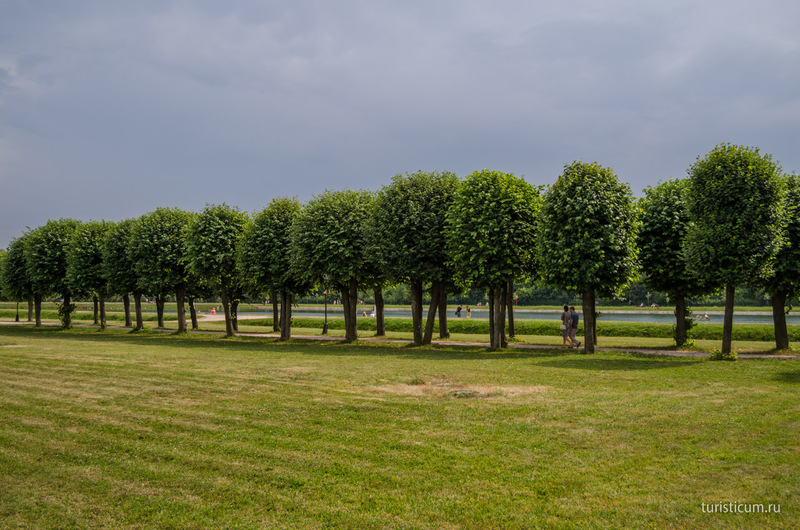 Imagination immediately draws the pictures of grandees, ladies with little dogs and cavaliers riding horses along this very avenue of limes. The first question that arises in head when you hear Kuskovo is about its name (kusok in Russian is a piece). Why is it Kuskovo? The reason is not very poetic. 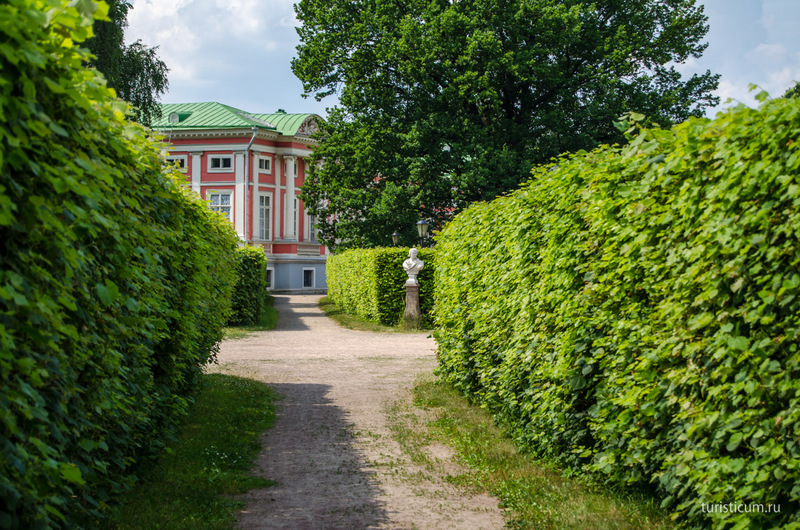 The first mention of Kuskovo dates back to 1623. Before that count Boris Sheremetev owned only a little portion of the land. The count called this land “kusok» (a piece). The rest of the land belonged to Aleksey Cherkassky, the future state chancellor. The two men became relatives after Sheremetev’s son and the chancellor’s daughter got married. After that the Sheremetev family became sole owners of the land. 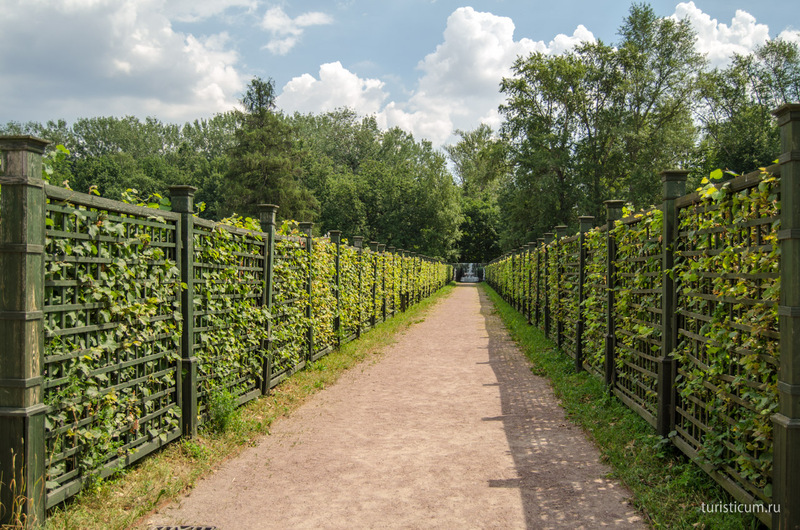 But the name Kuskovo remained. 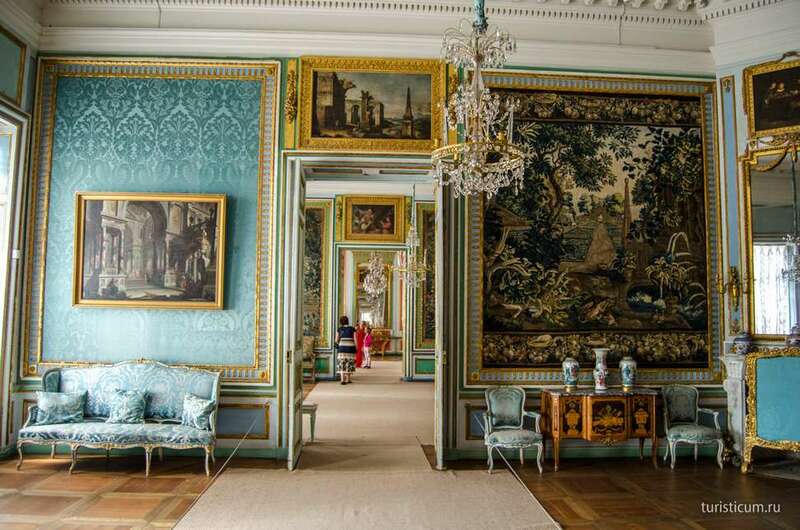 The palace appeared here much later, only by 1774. 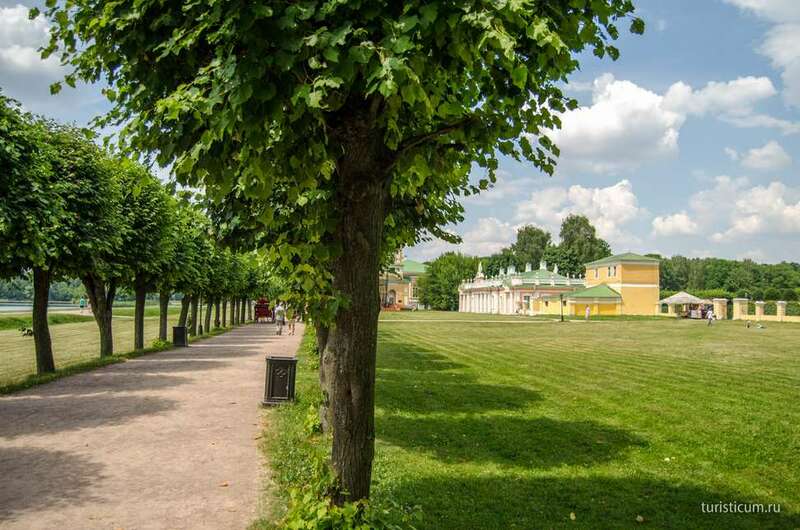 Interestingly is that bond architects Feodor Argunov and Aleksey Mironov created all the architectural ensembles in Kuskovo. There is a Grand Palace Pound in front of the palace. 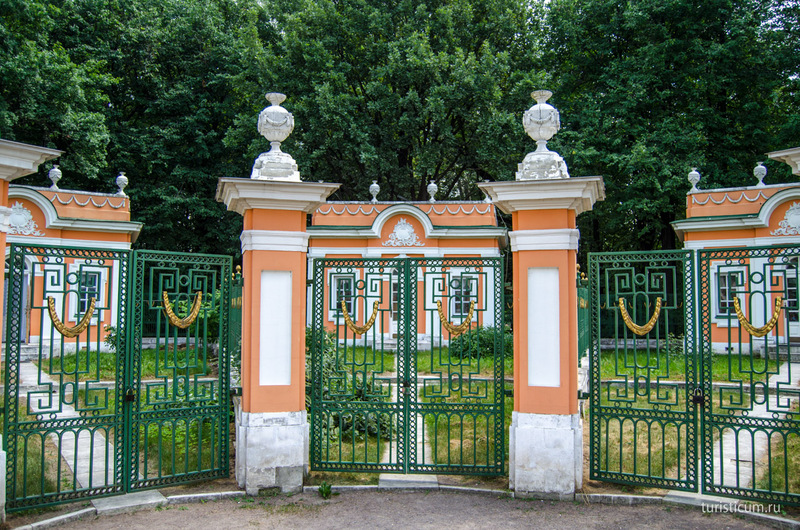 The territory of Kuskovo Park begins right behind the pound. To enter the palace everyone is charged admission fee. 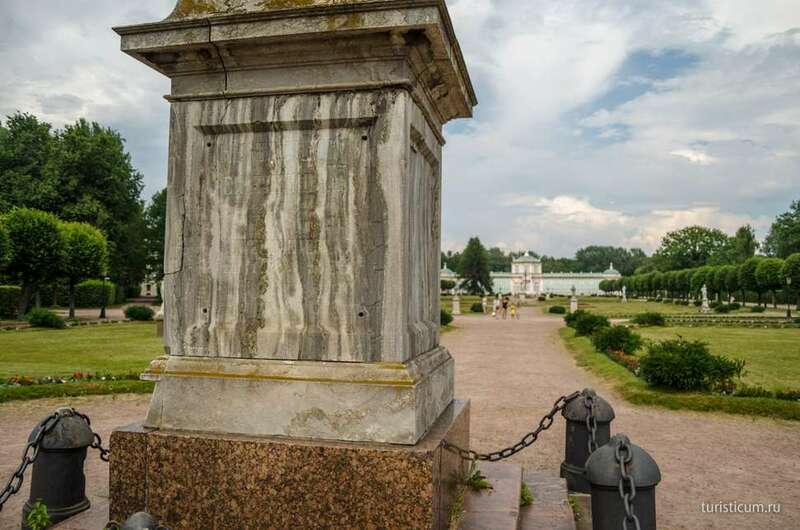 We bought combined tickets by the Kuskovo Museum entrance. 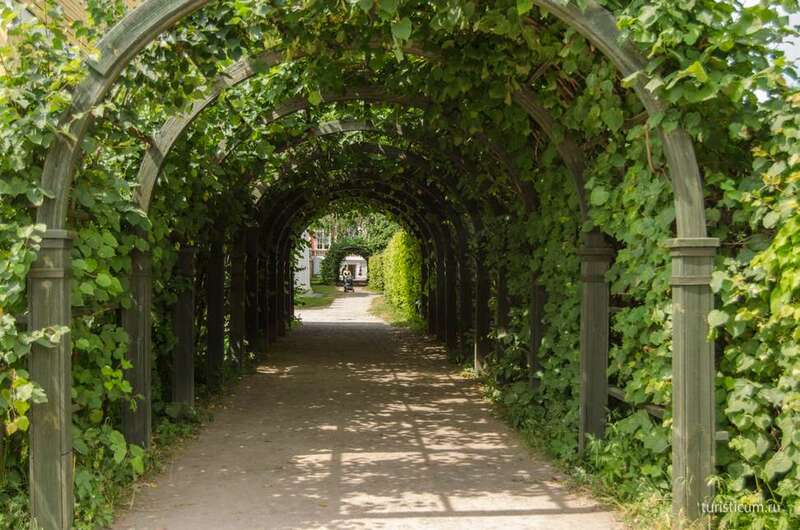 The ticket gives permission to visit all the pavilions of the country estate. 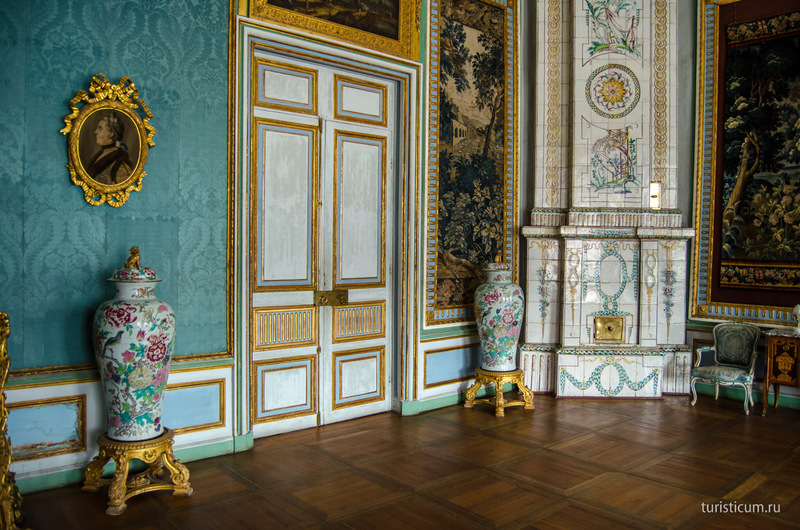 The palace exhibits interiors. One can spend a lot of time enjoying the beauty of the interiors, unique character of the building itself and the disposition of rooms. Rooms follow one another, all doors are in line. As a result exit from one room is an entrance to another. 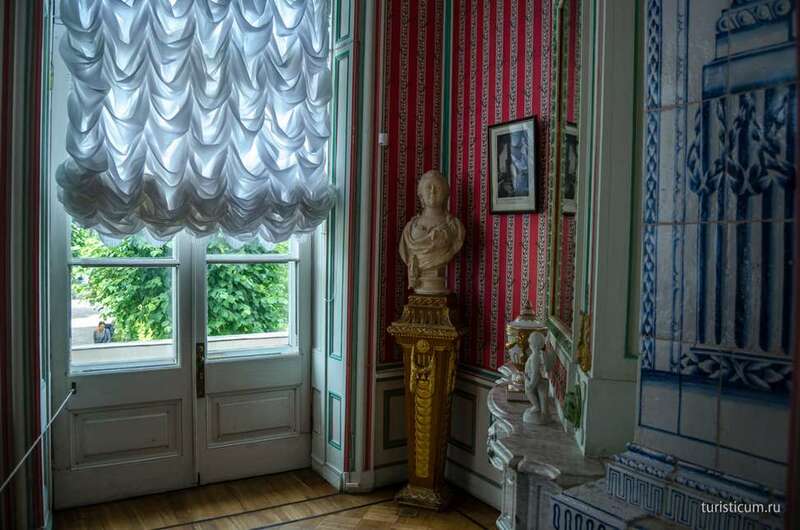 The rooms are situated in front of windows that lets maximum light inside. 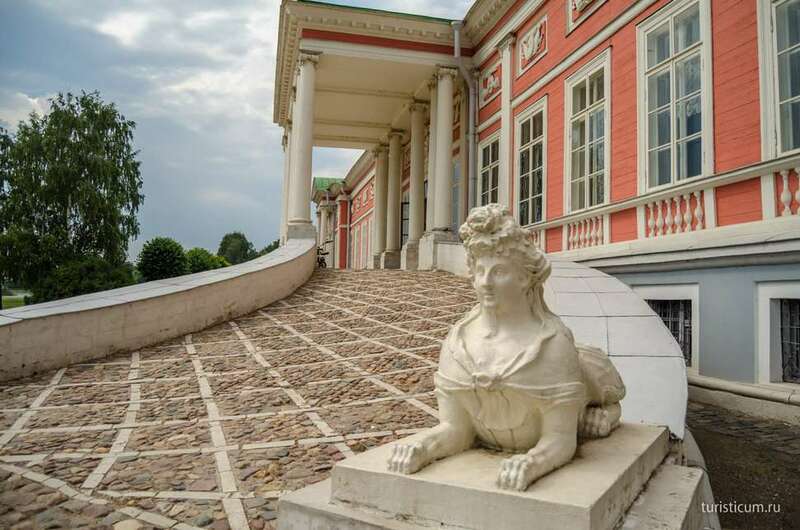 «Grand House» was the name of the palace in the 18th century. 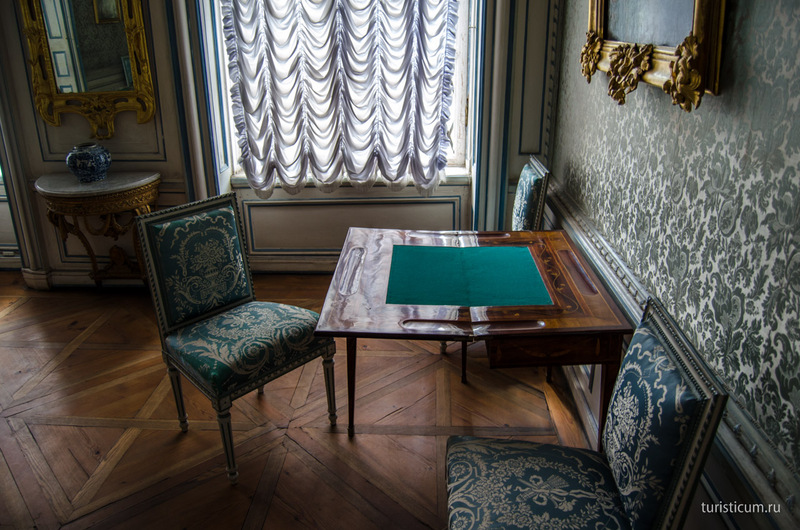 It exemplifies the style of classicism. 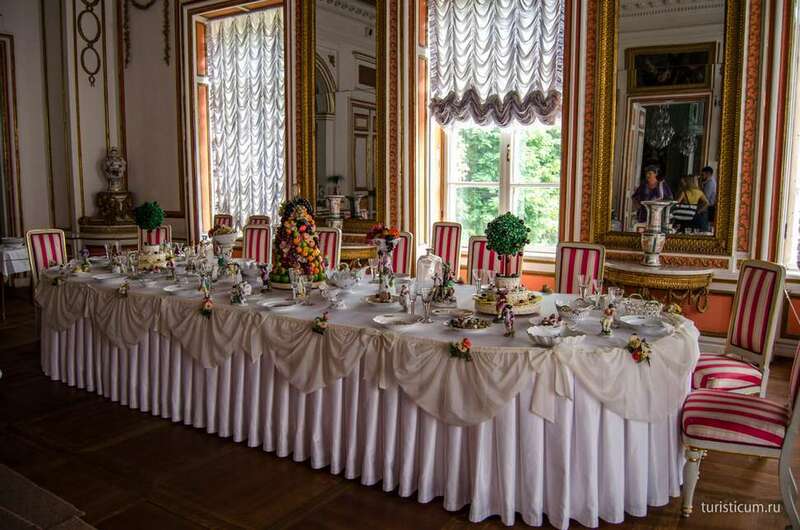 It was the pleasure palace for count Petr Sheremetev. 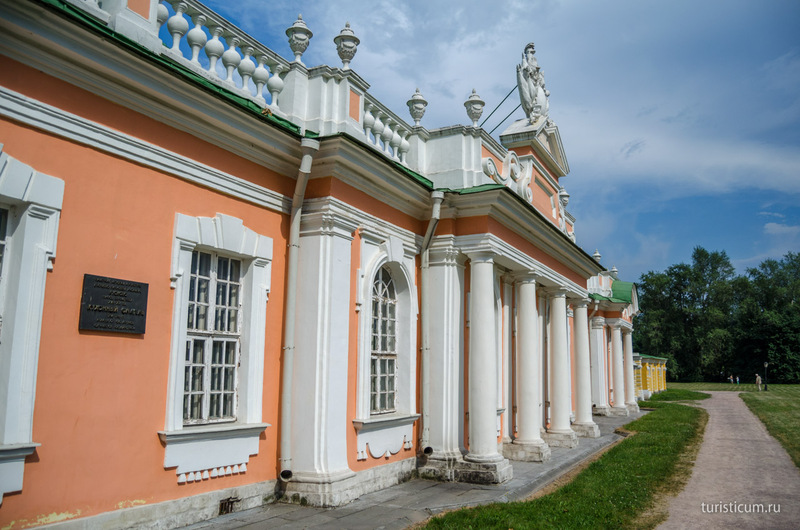 The Sheremetev’s Palace is one of few architectural heritages that remained its initial state. Everything up to wood flooring, fireplaces and heaters is real. 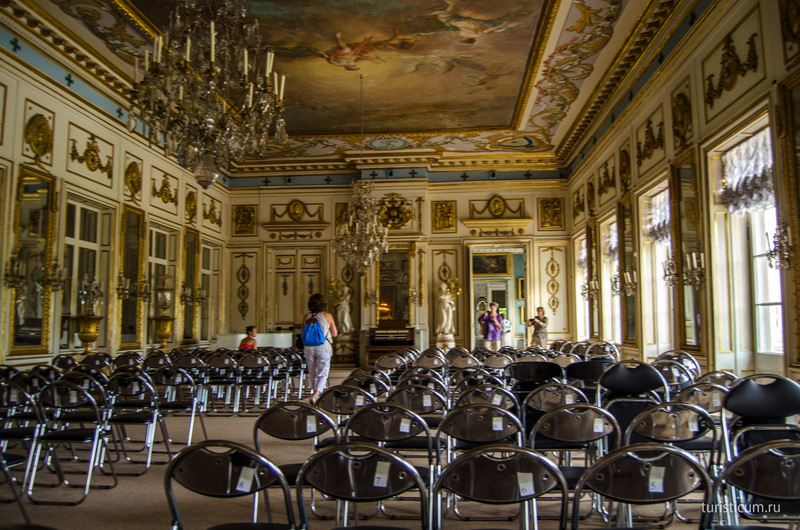 A walk along the palace took us to a big hall intended for solemnities and balls. 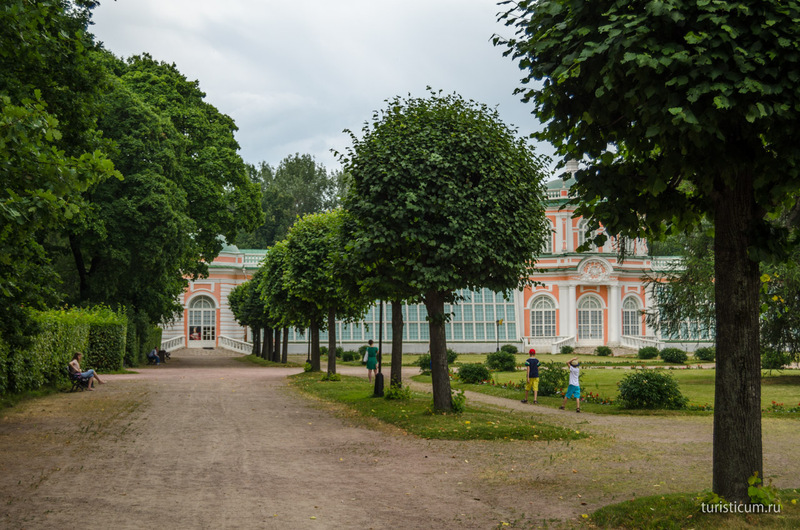 Exit door symmetrical to the entrance ones let us out of the palace to Kuskovo Park. 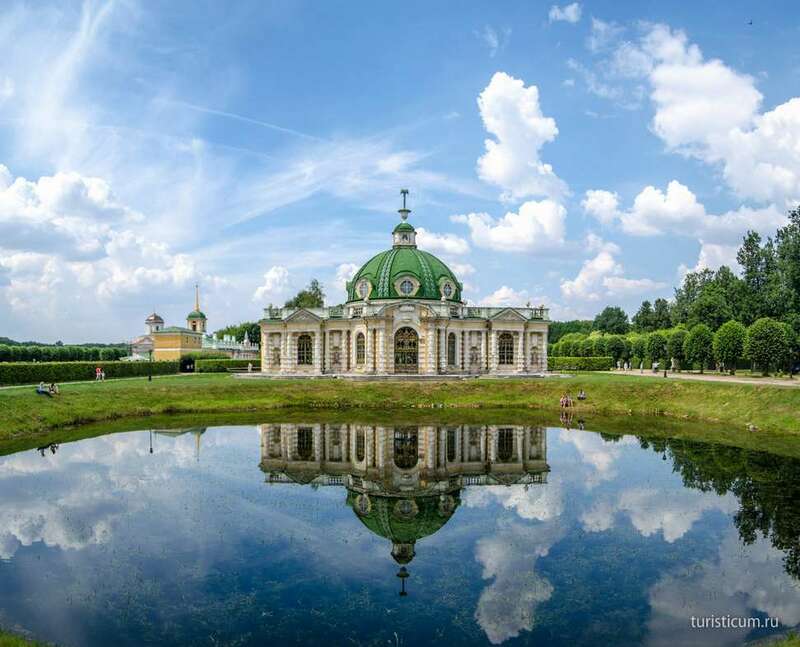 Symmetry distinguishes the 18th century buildings. 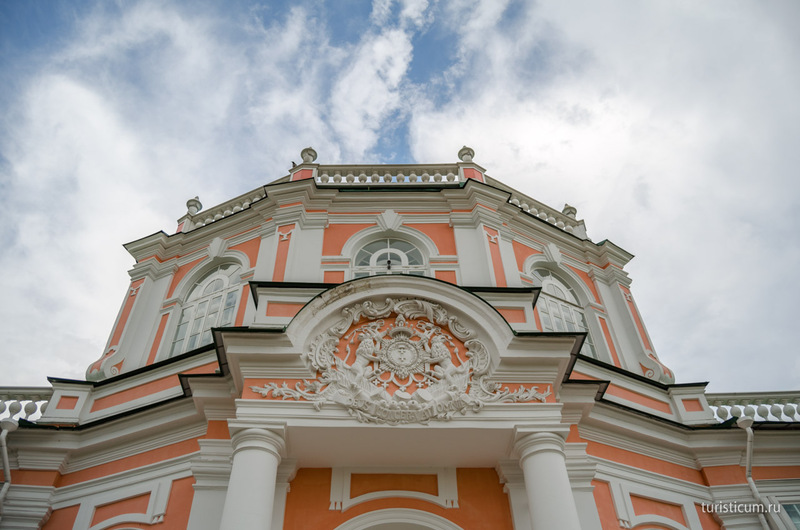 Here in Kuskovo it is also the main element of architecture. 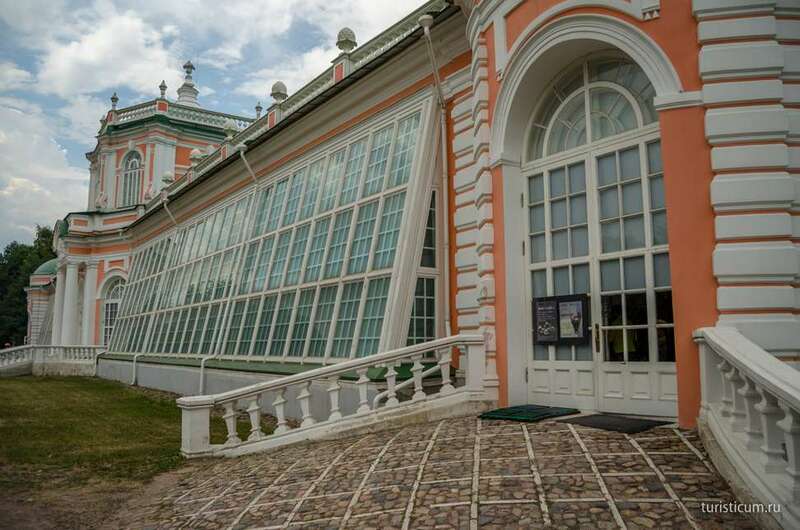 We see a big stone building of Orangery in front of the main palace at the other end of the park. A needle that dates back to the end of the 18th century closes the view. It commemorates the visit of Empress Catherine II to the country estate. 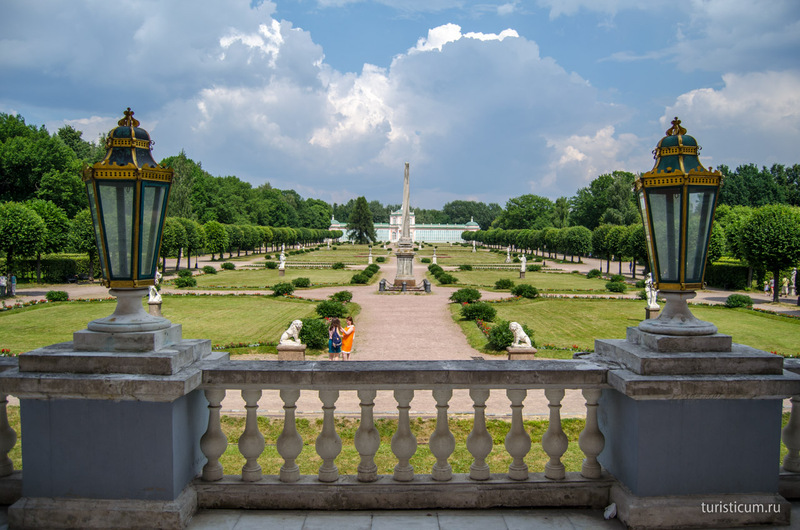 The park is very big and one can walk along it much longer then along the palace itself. Although it is hard to get lost here it will still take time for you to sort out the directions here. Symmetry is laughing at visitors here and is playing with them trying to confuse. We started our visit to the park with the Dutch House. The Dutch House received its name due to the general motif that underlies the building. 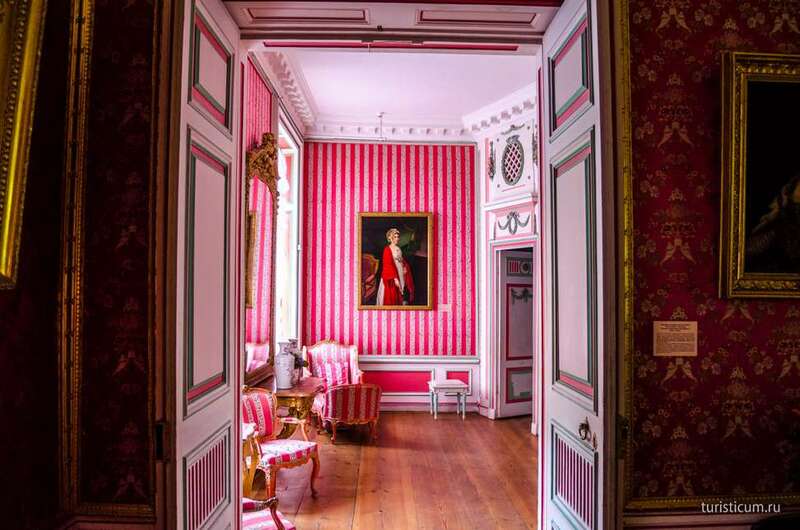 Both the house and its inner interiors are made in Dutch style of the 17th century. Although Russian excessiveness is also present here. 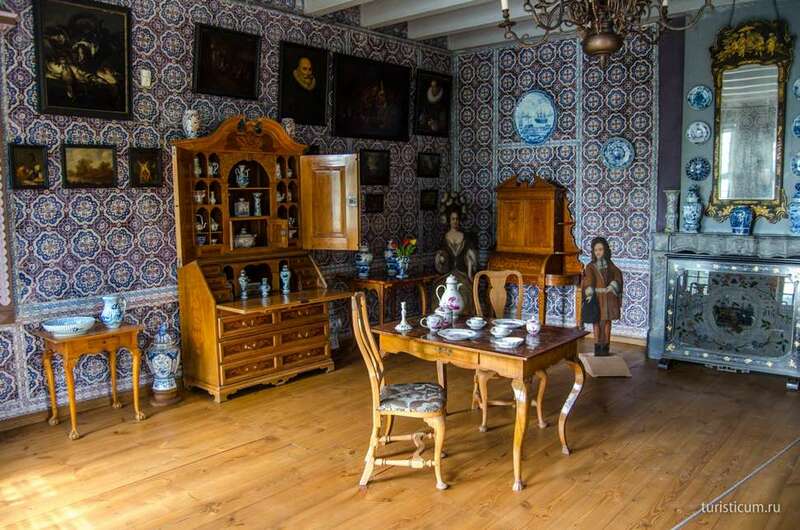 The tiles with which Dutch decorated their houses were extremely expensive. As a result its use in decoration was minimized to highlighting interior. 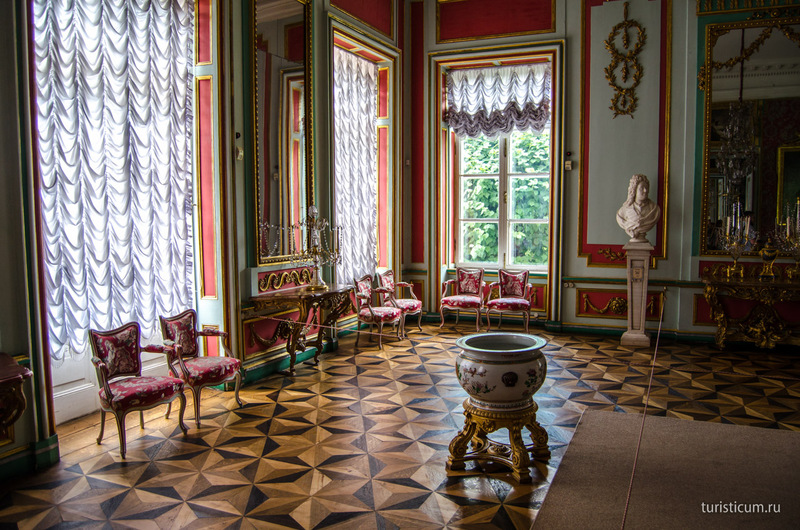 The whole kitchen is tiled in Kuskovo thus showing the expensiveness of decoration. “Hermitage» pavilion is in the same part of the park as the Dutch House. 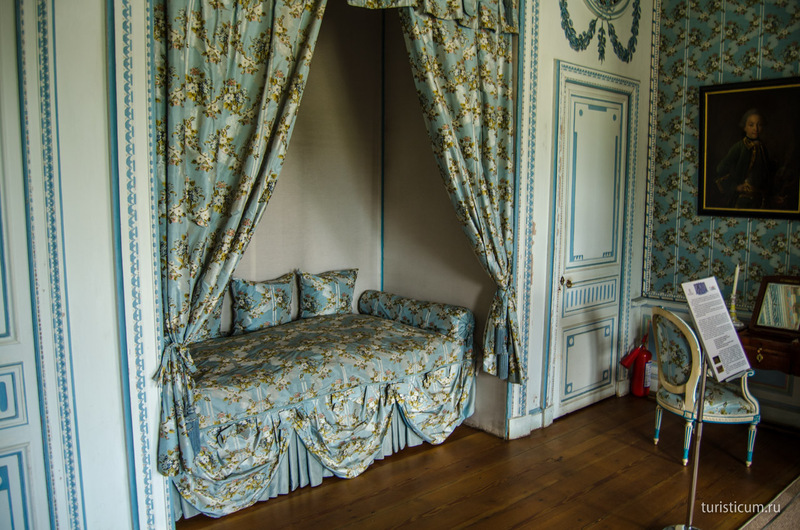 It is refurbished, but we did not have a chance to visit it since it was temporary closed. The pavilion homes a display of porcelain. So, walking along the park we came to the big stone Orangery. There are two displays in the Orangery. 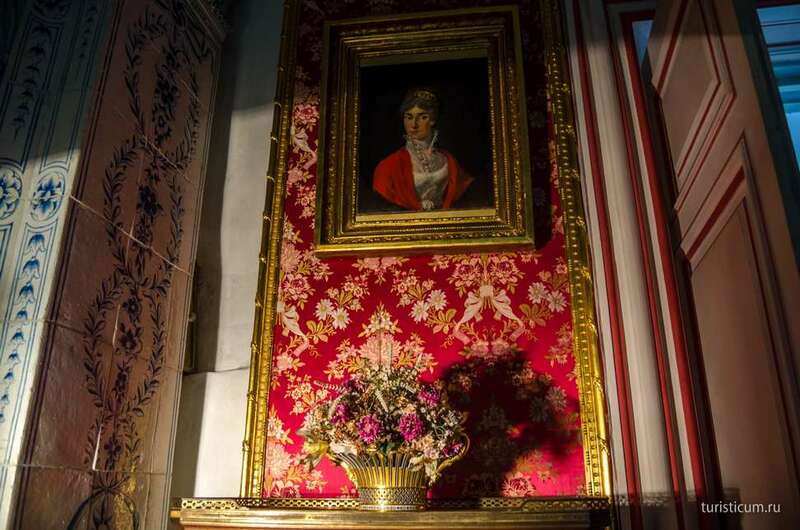 The first one presents the portraits of all the members of the Sheremetev dynasty. The second one is of ceramics and porcelain. 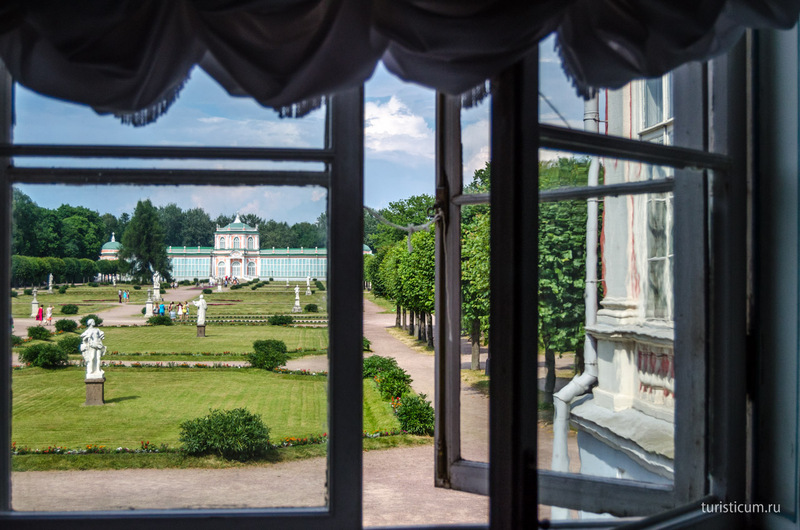 There is a very beautiful view to the main palace from the Orangery. American orangery is in the other part of the park. 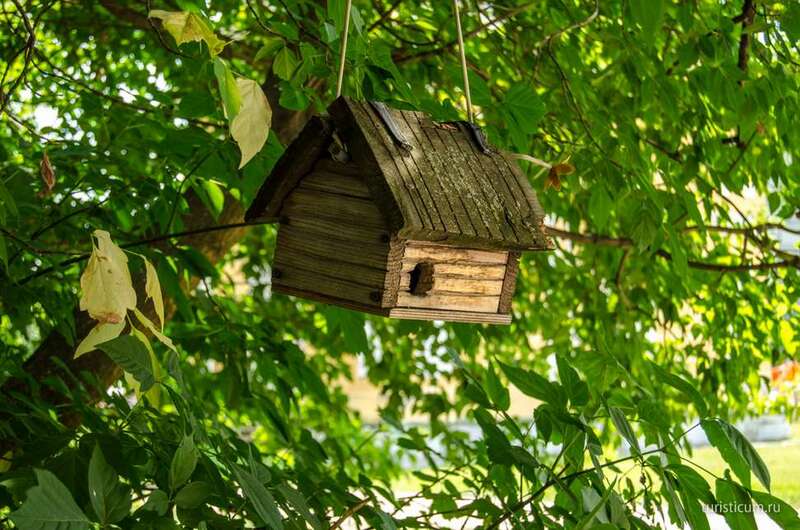 It also displays porcelain and has an aviary. Both of the buildings are modern reconstructions of the originals. 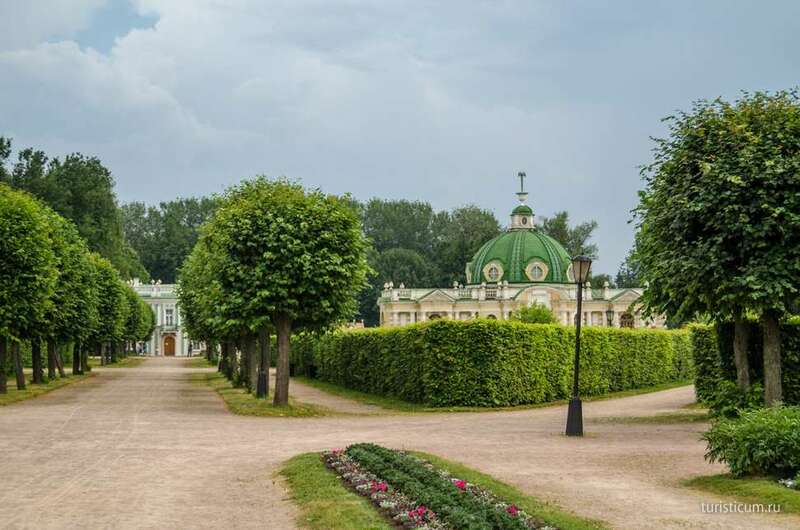 The park of Kuskovo Museum is very beautiful and diverse. 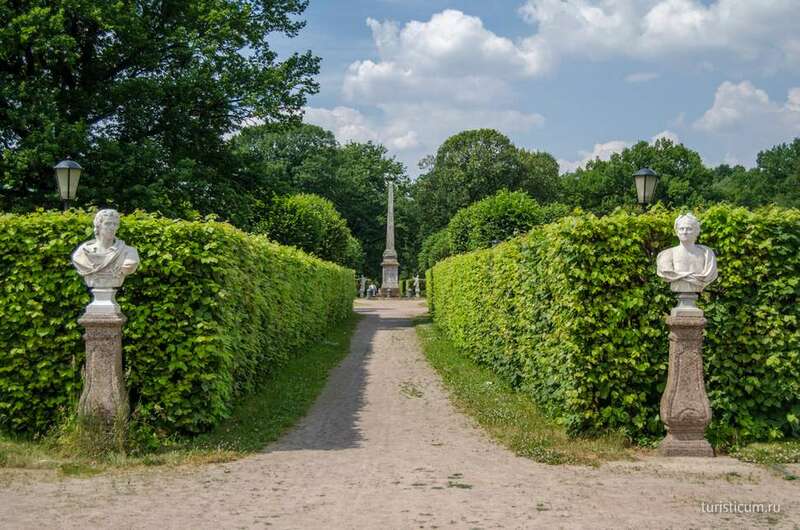 Numerous marble statues, trim hedges decorate it alongside with pavilions themselves. Finally we got to the most beautiful of all the pavilions. 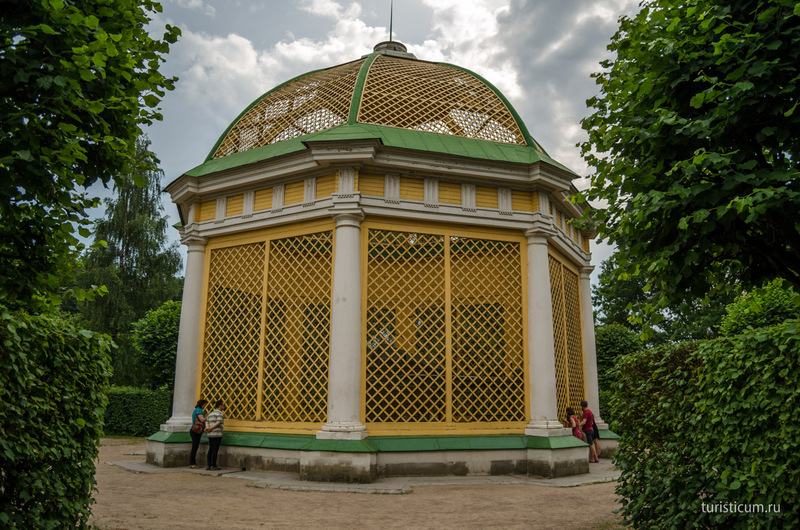 The Grotto is built in baroque style. 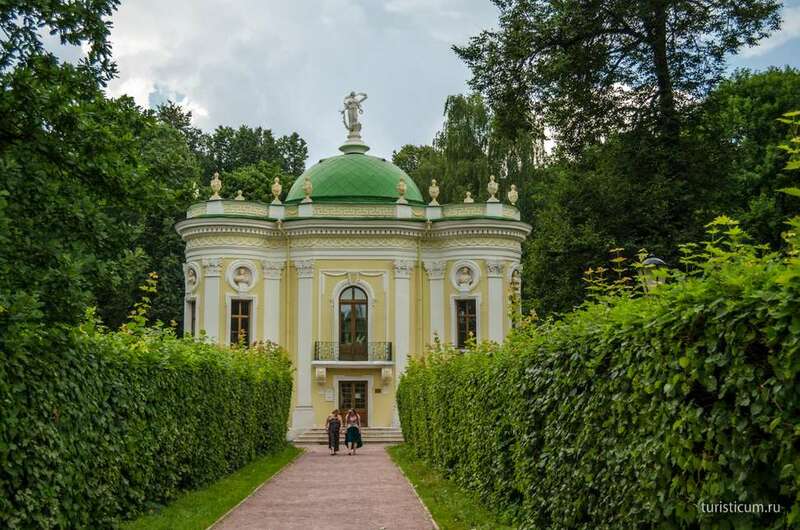 It is the only pavilion in Russia that preserved its initial grotto interior decoration. Glass and tufa decorate the interior rooms creating the feeling of a real grotto and representing the combination of stone and water elements. 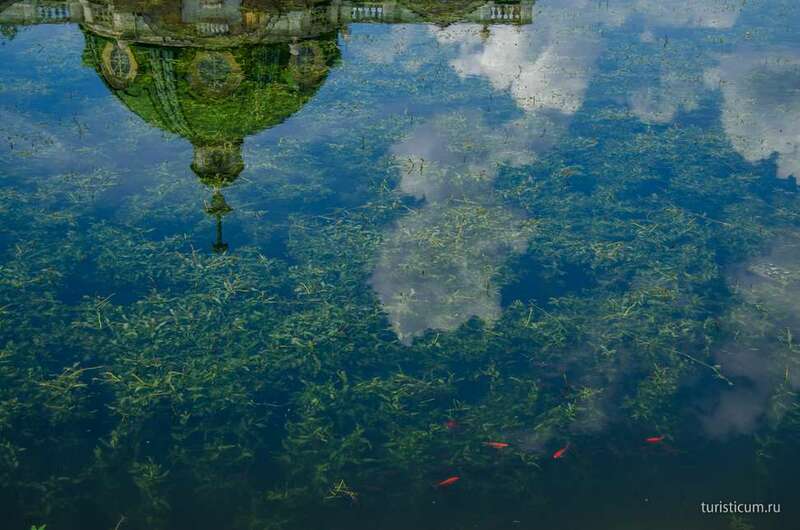 There is a pound with fish and Manageries behind the Grotto. Although the last ones are also modern reconstructions of the originals. There is Italian House not far from the Grotto. That way again took us to the main palace and the nearby buildings, such as the Kitchen Outhouse. There is also a church close to the palace. But it was closed for reconstruction at that time and we had nothing to take photos of. The church is to the right of the palace in the photo. 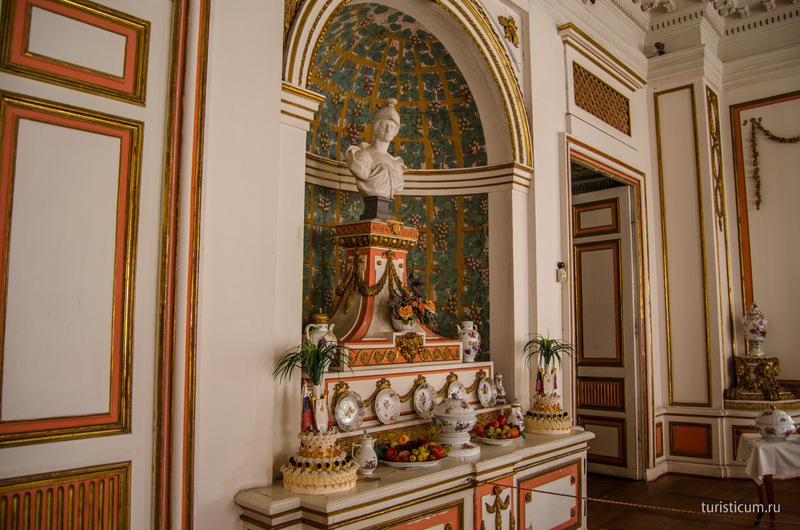 There is another display in the palace. 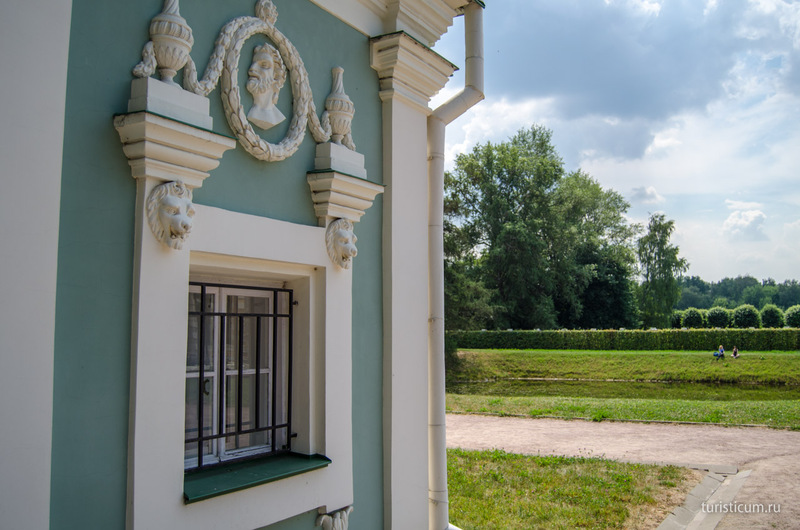 The entrance to which is from the gable façade. 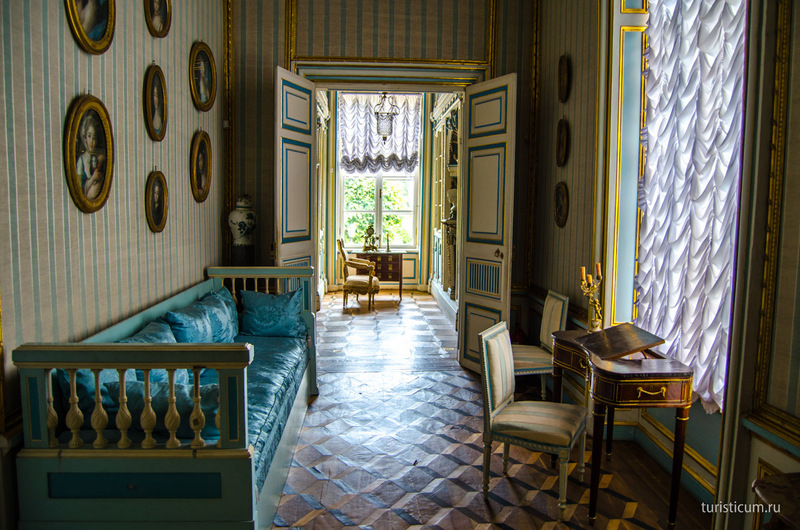 A staircase took us to the first floor and dipped into wonderful life of one young lady, or, to be more precise, a peasant who became a lady – Praskovia Zhemchugova. 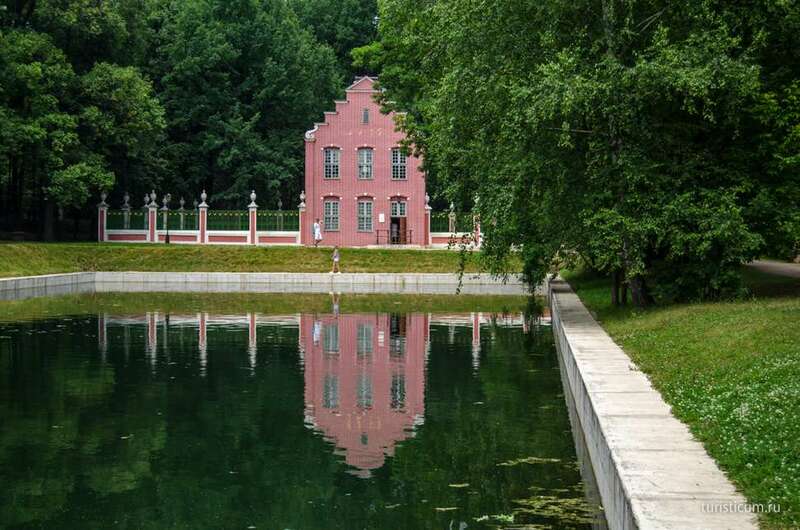 Praskovia came from a family of a bond blacksmith Kovalev. Together with other bond people she was presented to Petr Sheremetev as his wife Varvara Cherkasskaya’s dowry. 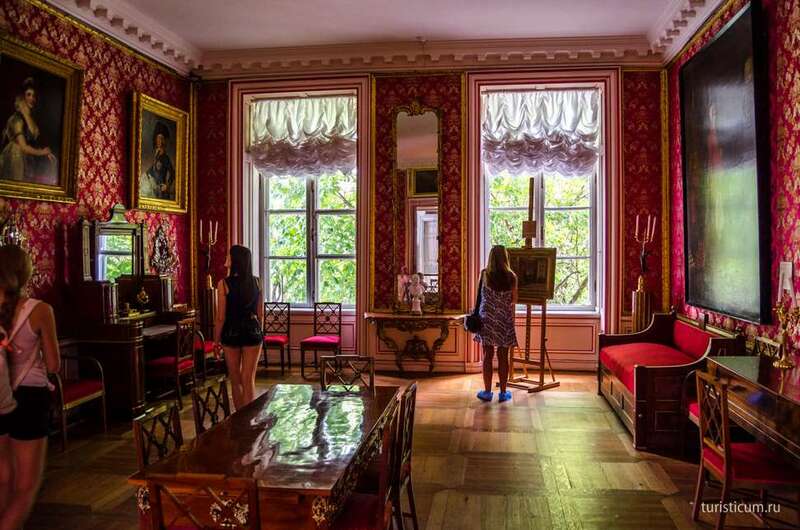 Countess Marfa took care of a seven-years-old Praskovia. The girl showed a gift to singing at an early age. So, she was taught to join theatre troupe in the country estate. 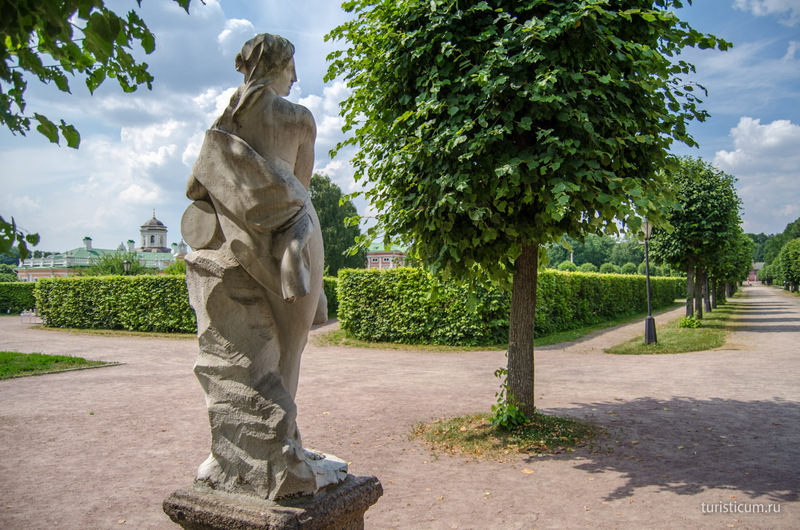 Later on the girl gained astonishing success and even impressed the Empress Catherine II during her visit to Kuskovo. The Empress even presented her a diamond ring. While performing Praskovia alos received her stage name Zhemchugova. Paskovia’s beauty attracted Nicolay, Petr Sheremetev’s successor. The blood of a count did not allow him to marry a bond girl. In 1797 count Nicolay received the title of the chief marshal of the court from the Emperor Pavel I. The title obliged Nicolay to move to Saint-Petersburg. 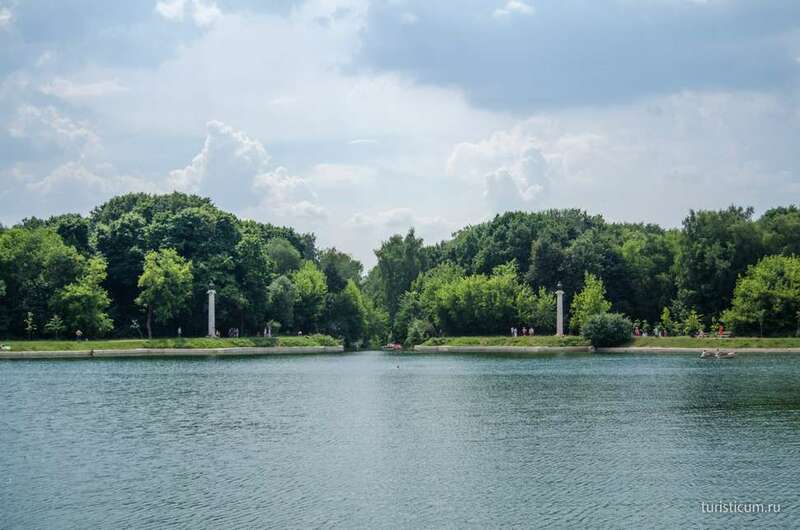 Nicolay moved there with Praskovia. But the wet climate of the city intensified the girl’s tuberculosis. 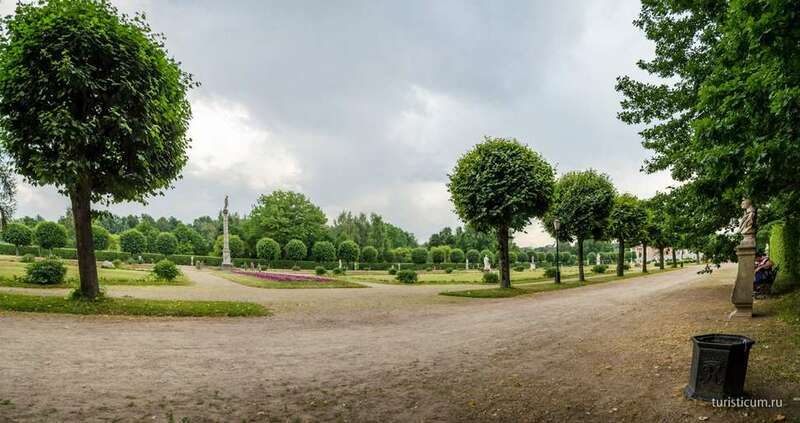 Nicolay still could not marry Praskovia under Pavel I. However, in a year he manumitted Praskovia’s family. 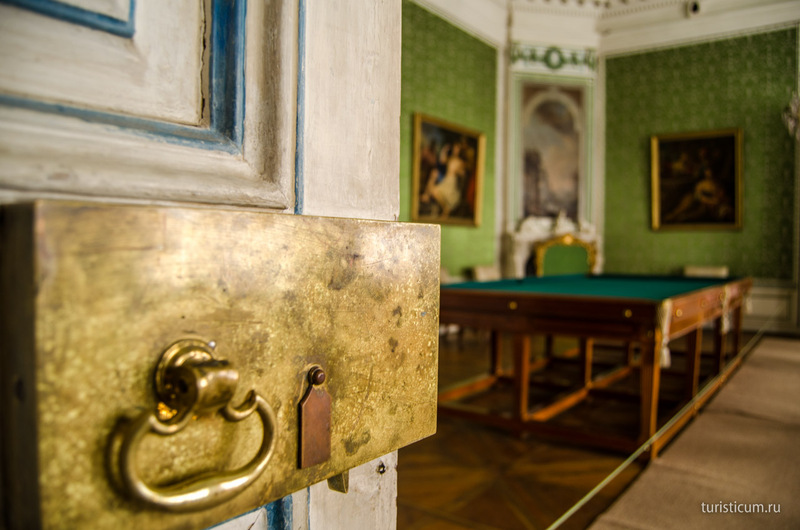 And it was only in 1801 that Nicolay officially married Praskovia Zhemchugova by authority of Alexander I. They had a son Dmitry in 1803. He was the only Sheremetev’s successor. Three weeks after her son was born Praskovia died at the age of 35. The story excited all their contemporaries. Even more, it still excites everyone who learns it. 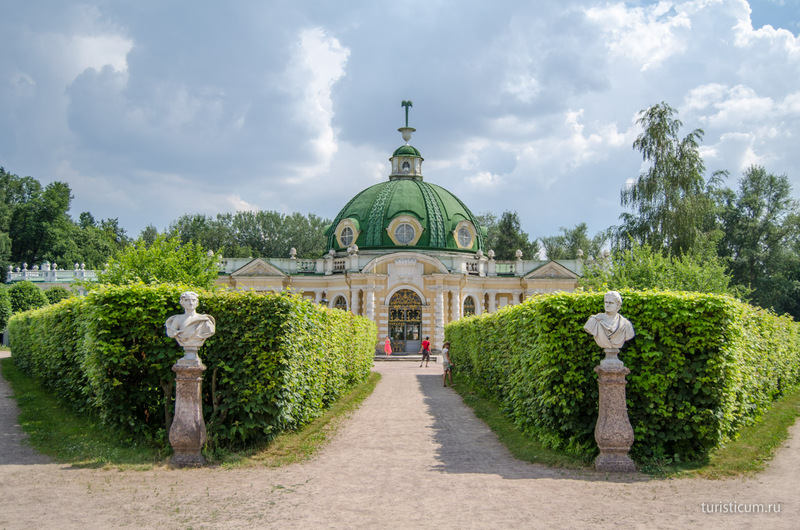 Such places as Kuskovo Country Estate are the must-sees. Here one can not only spend pleasant and quality time, one can learn to love the history of the whole country and its separate members as well. If you are already infected with such love, you can learn something new and visit a place where historical figures lived. 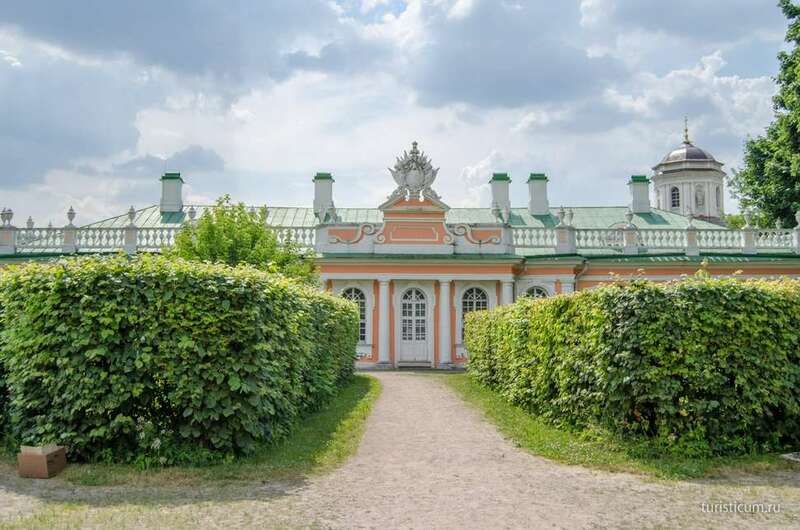 Kuskovo Country Estate is the place where one can travel 200 years back and walk along the same lanes and corridors with counts and countess Sheremetev.